SWAT 771 allows all members of the team to be actively involved throughout all aspects of the team. To efficiently achieve this, SWAT has created sub teams with a specific area of focus in order to allow students to develop skills in their chosen field. Each team is organized by a student lead. Our fearless leaders. They organize and lead meetings, overseeing both technical and non-technical sub teams. This team focuses on the mechanical aspect of the FIRST Robotics Competition. 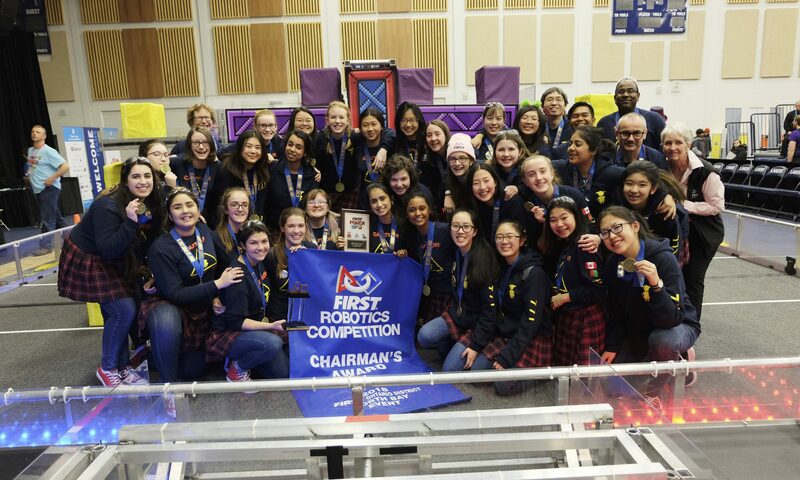 The chassis and function of the robot is built by the students in this sub team while working closely with the programming and electrical teams. Starting with a provided kit of parts from FIRST, the build team brings the robot design from a prototype to life. Students on this team learn about the mechanics of a robot, how to build a robot using a variety of materials and problem solving. Creating a solid strategy that will ensure success at competition is of great importance for all FIRST teams. SWAT depends on their strategy team to devise a sound strategy that will allow them to efficiently accomplish the game challenge. The strategy team is vital throughout the entire build season as they have the responsibility of ensuring that the robot design doesn’t break any game rules. This team is in constant communication with all of the other sub teams, as they provide clarification on game rules. Working closely with other subteams, they use Prototyping and Computer Aided Design (CAD) is then used to help finalize the design and measurements. The build team is then able to use the 3D model created through CAD to aid in building the robot. A robot can do little without its code. This team focuses on writing the code in Java to bring the robot to life. The first fifteen seconds of FRC games are autonomous, which means that the robot must run solely on pre-programmed code. Starting with a blank labVIEW program, students on this team learn how to code in Java, program sensors and persevere when errors occur. The responsibility of the electrical team to ensure that the robot is wired to run. Beginning with a basic electrical board and works closely with both the build and programming teams to ensure that all motors, speed controllers and sensors are working to perform the game challenge. Students on this team learn to trace electrical currents, read wiring diagrams and practice electrical safety. Traditionally, we start all rookies as part of the Game Pieces and Bumpers subteam. Students on this team learn how to use tools to build the game pieces required for the robot to practice with. Learning how to use tools is an important skill for students to bring with them to other sub-teams, especially the build team. They also learn the game manual and rules, how to use tools and how to strategically tackle the game. SWAT would be little without the work of their business team. From sourcing major sponsors to creating an award winning business plan, the business team works closely with a mentor from the industry to constantly improve upon our entrepreneurial strategies. Students on this team learn how to fundraise, market the team and create financial statements. Team imagery is a big part of any team. 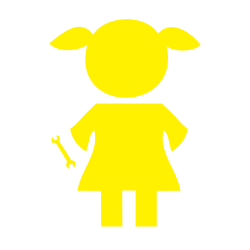 The design team works closely with The Girl With Wrench and including her in our movies, posters and t-shirts. Promotional poster, team hand outs, pit decorations and many other SWAT advertising materials are created by this team. Students on this team learn how to use graphic design programs including Adobe Photoshop, how to create aesthetically appealing designs and help to promote the Girl With Wrench. Safety is the an important aspect of any FIRST team and within every sub team, our safety team strives to ensure that all members are performing their roles safely. The safety team constantly works to improves SWAT’s safety protocol by implementing concepts such as safety checklists and safe tool use workshop. The safety team also promotes safety to all FIRST teams through their YouTube safety videos. During off-season, the safety team ensures all SWAT members are safety certified on Passport to Safety. This is an online resource that teaches and tests individuals on performing tasks safely. Students on this team learn to be safety role models and have the opportunity to creatively promote safety to SWAT members as well as members of the FIRST Community.